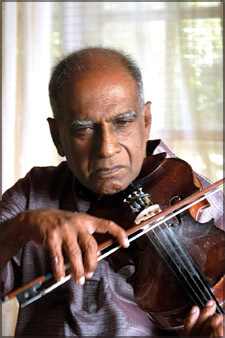 Renowned Sri Lankan vocalist, violinist and music composer W.D. Amaradeva passed away in a Colombo hospital on 3 November, just one month short of his 89th birthday. Millions of Lankan rasikas scattered throughout the world were saddened by Pandit Amaradeva’s death while the Government declared one week of national mourning in his honour. In an illustrious musical career spanning almost seven decades the maestro had firmly established himself as the most popular singing voice of the Sri Lankan nation. 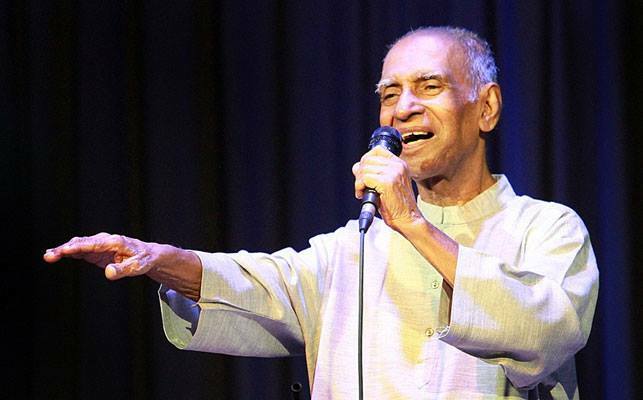 Born on 5 December 1927 to a Buddhist father and Christian mother in Moratuwa – a coastal town to the south of capital city Colombo – the singer changed his name Wannakuwatta Waduge Don Albert Perera to Amaradeva later on in his twenties. Amaradeva means immortal god or celestial being. To his innumerable fans Amaradeva’s music and singing remain immortal. His accomplishments were many. So too were the accolades he received. Apart from the Ramon Magsaysay award of Philippines dubbed as the Asian Nobel prize, Amaradeva also received the Ordre des Arts et des Lettres honour from France. Amaradeva is also the recipient of the ‘Kala Keerthi’ and ‘Deshamanya’ awards from the Sri Lankan Government. Three Lankan universities have conferred honorary doctorates on Amaradeva. In I972 Amaradeva composed the melody for the Maldivian National Anthem ‘Qaumii Salaam’. India bestowed the Padmashree upon him in 2002. Amaradeva’s destiny was linked in a significant way to India. When Amaradeva was an artiste at Sri Lanka’s broadcasting service known in those days as ‘Radio Ceylon,’ the Principal of Bhatkande Sangeet Vidyapeeth in Lucknow, Shrikrishna Narayan Ratnajankar arrived in Colombo to audition and grade performing artistes. Ratnajankar was highly impressed by Amaradeva’s talent and awarded him the highest recognition – supra-grade. He also invited the young musician to enrol himself at Bhatkande and study Indian classical music. There was a problem of finances. D.B. Dhanapala, the Editor of ‘Lankadeepa,’ began collecting funds through his Sinhala newspaper. Contributions poured in from readers and soon the required amount was raised. It was prior to leaving for Lucknow that Albert Perera was rechristened as Amaradeva. At Bhatkande Amaradeva came under the tutelage of the supreme violinist Vishnu Govind Jog who regarded the young Sri Lankan as a prized pupil and protégé. Amaradeva graduated after five years with two Visharads as both a violinist and vocalist. Though he was to shine in later years as a great singer, Amaradeva never forgot his first love, the violin. He would often intersperse his vocal recitals on stage with an interlude of instrumental music on his violin. Ratnajankar and Jog wanted Amaradeva to stay on in India and procured a teaching assignment for him in Nagpur. Amaradeva declined the offer gracefully and returned home. In Sri Lanka Amaradeva went on to make waves in the musical sphere. Apart from numerous public recitals and performances, Amaradeva also made many music albums. He was involved with many musical programs in radio. He composed music for dramas, dances and films. He also taught music. 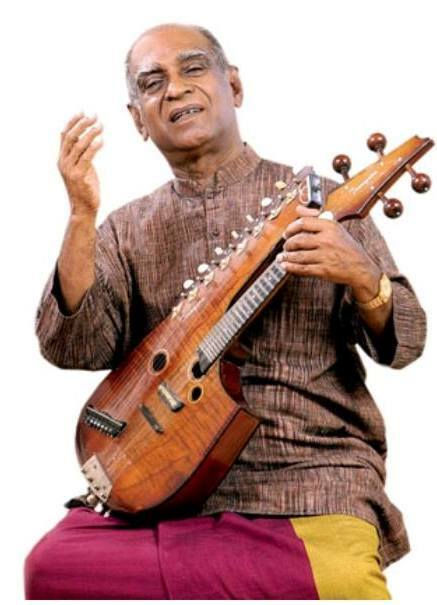 Gradually Amaradeva attained cult status as the doyen among Sinhala musicians. His unique achievement however was in evolving an authentic Sinhala music. After receiving independence from the British in 1948 Sri Lanka then known as Ceylon experienced a cultural renaissance in many spheres such as literature, drama, dance, cinema and music. 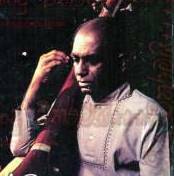 Amaradeva was among the foremost pioneers in evolving and developing an authentic style of Sinhala music. In an illuminating biographical essay about Amaradeva, Lorna Kalaw-Tirol wrote about this as follows – “The country’s artistes were divided about how to define exactly what Sri Lankan music should be. The purists wanted to promote Sinhala folk music, while the classicists preferred to uphold the classical Indian tradition. The melodic range of Sri Lankan folk music was limited; it really could not become the only basis for the building of a broad-based musical tradition. The question before them was: Should Sri Lanka blindly follow the Indian tradition and ignore its own folk music”? Amaradeva leaves behind his wife and three children. Wife Wimala whom he married in 1962 was an oriental dancer. Elder daughter Priyanvada is a Katak dancer who also plays the Sitar and guitar. Younger daughter Subhanie is a singer while son Ranjana is a percussionist. The Sri Lankan maestro maybe no more but his musical legacy will endure thanks to modern technology. « Why Another All – Party Conference After the Comprehensive Constitutional Assembly Debate?